Another Price Reduction! Extremely Motivated! Enjoy a lifestyle of luxury and comfort in this elegant home nestled in PRIME location near Salmon, Idaho! Bordering public lands with tons of wildlife such as elk, deer and big horn sheep! This incredible palatial estate is gracefully poised on over 150 acres within the contours of the surrounding mountains, the Salmon River and bordering public lands. 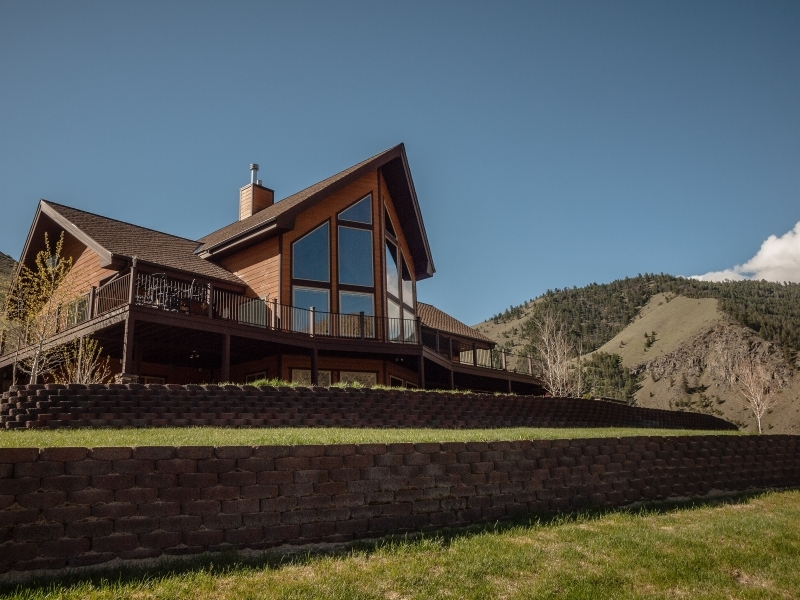 This remarkable residence features a stately architectural design that features large dramatic windows with stunning panoramic VIEWS of the mountains and Salmon River! Owners are welcomed into a refined interior boasting unparalleled quality craftsmanship and exquisite detailing. The living room boasts a custom floor to ceiling fireplace rocked using native rocks right out of the river! Hardwood floors, and those beautiful windows that bring the stunning views inside. Imagine yourself entertaining in the spacious kitchen with granite counter tops and top of the line appliances. With spacious, comfortable indoor and outdoor entertaining spaces there's lots of room for all your guests. The over-sized master bedroom features a huge walk-in closet, Jacuzzi tub and walk in shower with custom detailing. A bonus room loft enjoys a private deck. Two guest bedrooms as well as their own bathroom are located in the walk-out basement. Which also includes a spacious great room with a cozy rocked fireplace, wet bar and more bright windows to enjoy the beautiful views. Step outside and relax on one of the many decks overlooking the river. This home features many more delightful personal touches that will make you feel your living in your slice of paradise. Included is an attached, completely finished two-car garage. A huge, heated, insulated shop with full bath and guest quarters. This price also includes a 3 bedroom 2 1/2 bath home with outbuildings that borders the Salmon River including pond and park area. May be sold separately after the sale of the main house if not sold as package.